What it’s about: Let’s get something straight before we start. I’m not planning on “reviewing” The Great Gatsby because frankly that wouldn’t benefit anyone. The Great Gatsby is probably one of the most read books in America. Thanks to some unwritten rule that this book must be taught in high school, it’s got a pretty wide readership and, what’s more, many people name it their all-time favorite book (behind Harry Potter and Catcher in the Rye, of course). And after I read the book for the first time, I stood resolutely outside that group. Not only would I not have listed The Great Gatsby as one of my favorites, I would have gone so far as to say that I didn’t see what all of the fuss was about. 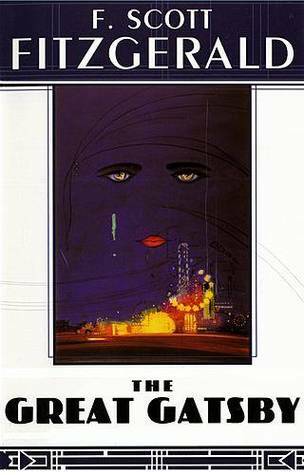 On my first reading, which I think was early in high school or perhaps even in middle school, I found Gatsby dull and unremarkable. But after the passage of many years, I decided to treat Gatsby to a rereading. I’ve always been a rereader, most often with books I love. I like to revisit them after at least a year and I often find that on my second reading I absorb the text more, focusing on the wording and enjoying each phrase. I think it’s because I’m not dying to find out what happens. Since I know where the whole plot thing is going, I’m able to concentrate more on the craft and less on whether or not someone’s going to die or if those two are going to end up together. I learn more about the characters, flesh out the setting, and catch motifs I might have missed on the first frenzied read. I even like to reread books from my childhood, picking up old favorites to see if they’ve stood the test of time, but also to bring myself back into a world I once loved. Books I didn’t love rarely get a chance at the reread. There’s a pretty steep backlog of books I’d like to read, so coming back to a book that didn’t impress me can feel like a waste of time. But, there was one notable exception that convinced me to give Great Gatsby another shot: The Lord of the Flies. I first read Flies in middle school as part of an “advanced” literature group. Myself and four others met in the hallway for independent reading and our teacher chose Flies as our first book. Maybe it was the way our group was structured—we didn’t have much teacher interaction, just worked from lists of discussion questions—or maybe I just wasn’t ready to enjoy Lord of the Flies, but I just hated it. Until I was forced to read it again for a high school class. I wasn’t even sure I was reading the same book! Things that had seemed pointless or gross to me on that early read suddenly made sense. I liked the book and my eyes were opened. Maybe some books were worth a second read. So I guess I don’t hate The Great Gatsby. I even found it sort of beautiful. And funny! I had no idea it was funny. It wasn’t the dense, dry thing I remembered—it was vibrant! So, what I meant to say is, rereading is a worthwhile endeavor. Now Heart of Darkness…I’m not quite ready to give that one a second chance. Heart of Darkness is still one of my favorites. I have read all the F. Scott Fitzgerald books. Tender is the Night is ranked number one for me. Your post has inspired me to go reread them.